IT asset management (ITAM) has played a key role in enterprises from the beginning, but the “digital everything” period has started to test its limits – and in many cases, has caused existing ITAMs to fall behind completely. 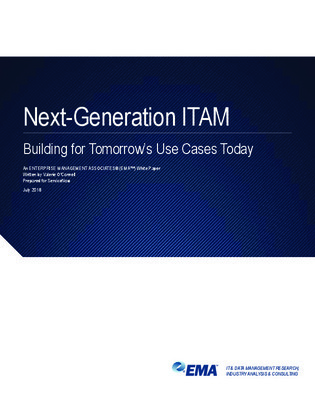 So how can today’s ITAM strategies hope to keep up? Based on global research and industry expertise, find out what technology choices, processes, and policy shifts are giving front-running ITAMs the ability to keep pace with the latest digital assets.